Puree the juice, zest, whole cranberries and 2 cups water in blender, then push through a sieve to remove solids. Transfer into a pitcher, add the Truvia and vodka and mix. To serve: fill each glass with ice, add vodka mixture to the 3/4 point [or to taste] and top off with sparkling water. 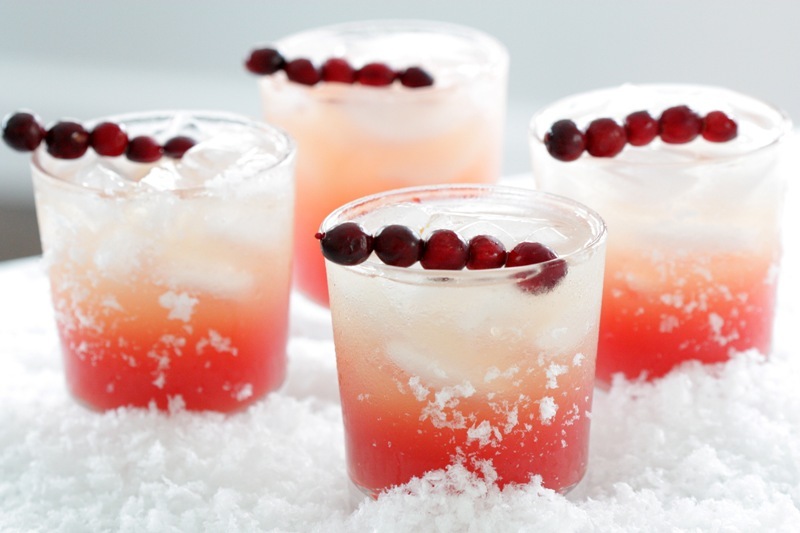 Give it a gentle stir and garnish with orange zest and cranberries.